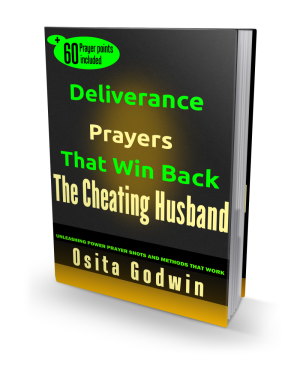 If you’ve been praying for your cheating husband without much to show for your efforts, it may be necessary to examine how you set your prayer platform. There is a place to stand and an attitude to hold to make your prayer a quick success. God, to whom all prayer is addressed, is a God of order who has specified the rules of the prayer that would get His attention and help. Plan Your Prayer Time. This is what is commonly called the ‘quiet time’. It is a mark of seriousness and devotion. This time is personal between you and God; it is different from group fellowship and prayer meetings. You are at liberty to choose any time in the day or night but it is advised that it be a regular and consistent time when you are available without distractions. This is why many people pick the night season for this sacred and creative communion with God. If you regularly keep time, God will always honor it and you will have happy evidence of this communion. Qualified To Stand In Prayer. Many feel condemned because they consider themselves unworthy to receive anything from God. This does not have to be so if you understand who God is. The Bible describe Him as ‘merciful and gracious, slow to anger, and plenteous in mercy’ (Psalms 103:8). So even if you are an undeserving sinner, you could go to Him repenting; be sorry, confess your sins to Him, ask for His forgiveness, and plead the blood of Jesus to cleanse you from all unrighteousness. Then you are good to go. Don’t let anyone (or your mind) condemn or make it tougher than it really is. Believe God. (…without faith it is impossible to please Him: Hebrews 11:6) God expects us to believe that He can be trusted. Don’t come to try Him because you’ll get nothing from Him that way. To believe just means to wholeheartedly depend on His willingness and ability to grant your petitions. Pray Ceaselessly. (…men ought always to pray, not to faint. Luke 18:1) Prayer is superior to a magician’s wand. You get better, tastier results that lasts a lifetime, and beyond. Prayer is faith-based and not on enchantment, you’ll often need some patience before you see results. This is not to say prayer cannot produce instantaneous effect but the assurance of prayer is that (whether it takes long or short) you’ll surely get your desires, if you don’t quit. Do Not Rely On Your Own Strength. (…Not by might nor by power but by my Spirit, saith the Lord… Zech 4:6) If you can turn around your cheating husband on your own, why pray about it? Just do it. If you have taken it to the prayer altar, allow God to work it out His way. Don’t fight your cheating husband or investigate him. Concentrate on prayer and let God do His miraculous work on him. 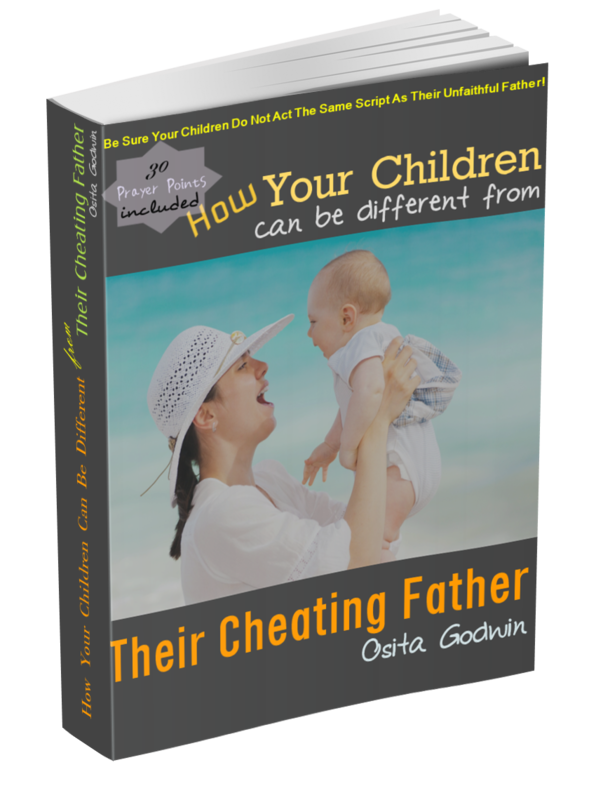 Ignore Outward Defiance of Your Cheating Husband . (For we walk by faith, not by sight. 2 Corinthians 5:7) When you pray, something is worked in the spirit, which may take a while to appear in the physical. When Jesus cursed the fig tree in Mark 11:14 (it was destroyed in the spirit immediately) but showed the next day (verse 21). Do not let the appearance of resistance fool, distract or dissuade you from the prayer project. No matter the seemingly increasing boldness or decadence of your cheating husband he will come around. You will win this case! Give Thanks. (Enter into His gates with thanksgiving…Psalms 100: 4) The code (or password, if you like) into prayer mode is thanksgiving. The address of God is thanksgiving. The envelope that wraps your request is thanksgiving. Find reasons to thank God over your present circumstances; it could have been worse. Do this before your petition, and thank Him again in anticipation of good answers. I have laid the critical platform out for you to enter right into the inner chamber of God. What’s stopping you from pushing your case? God is waiting to hear what you have to say concerning your cheating husband. Make the most of this privileged audience. What have you changed about your prayer altar recently? How has it affected your prayer life and results? We would like to read your thoughts and experience on these. I Want My Husband Free From Cheating, Lying, Drugs. Those Targeted Prayers Worked Wonders On My Husband.